A study released this month has found a direct correlation between outrage at celebrities’ domestic abuse charges, and musical collaboration with Pitbull (AKA Mr Worldwide). Chris Brown, who featured alongside the rapper on 2015’s ‘Fun’ will be denied entry to Australia on character grounds, after nationwide outrage at his proposed tour. Brown was convicted of a sickening assault on pop star Rihanna in 2009. However, celebrities who have not worked with Pitbull have largely escaped the well-deserved vitriol directed at the “Don’t Judge Me” singer. Rapper Flava Flav was arrested for domestic abuse in 1991 and 2012. While having worked with artists including Snoop Dogg, Moby and Will Smith, Flava has never made a track with Pitbull. Flava toured Australia with Public Enemy in 2014. 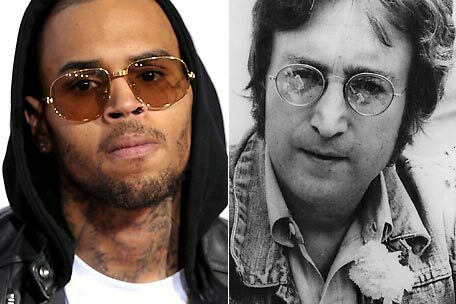 Former Beatle John Lennon, who has also never collaborated with the Cuban-American rapper, claimed in a widely quoted interview that he had been physically violent towards women. A musical about “the treasured icon” is expected to sell out its Australian dates. Basketball star Dennis Rodman has three arrests for domestic violence, but not being a musician, has never recorded with Pitbull, and therefore was able to tour Australia this year unopposed. Pitbull himself has never been convicted of domestic violence, and is thought to be bemused at the findings.